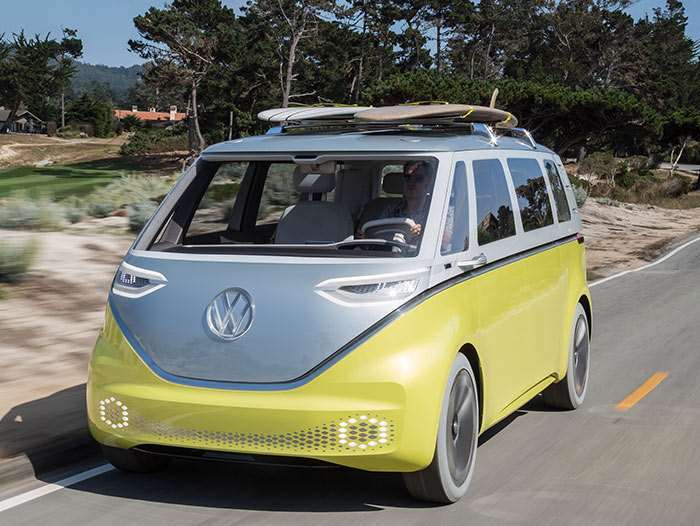 VW has been wowing fans of the old-school microbus with the I.D. Buzz EV concept for a while now. VW has now confirmed that the car will be going into production and it will be coming to the US. We are a ways off from the car actually rolling into dealerships, VW is aiming at 2022 after the compact 4-door I.D. debuts. The batteries of the production model will be in the floor. VW also notes that the compact drive components like electric motor, power electronic and other items don’t take up much space allowing the vehicle to have short overhangs and long wheelbase for more interior space. The vehicle will look like a compact commercial van on the outside with the interior space of a large SUV. The vehicle will be for people and freight hauling with multiple versions available. It’s also promised with Level 3 autonomous capability and more. I hope there will be a camper version of the vehicle.